On Monday night, the local Ruby group (Ruby Users of Minnesota, or RUM...great buncha guys) hosted three talks: one on Android development, one on iPhone development, and one on migrating from Struts to JRuby a bit at a time. The Android talk kinda hooked me, even though I was working on last-minute JRuby 1.2RC1 issues and not really paying much attention (sorry, Justin). I'd considered getting JRuby working on Android before, since it's compatible with most Java 1.5 language features, has a much more extensive library than any of the Java ME profiles (which hopefully will be remedied in future ME profiles), and represented the best chance for "mobile JRuby" to date. I had tweeted about it, scammed for a free G1 phone, and briefly browsed the online docs. I had even downloaded it back in early January...but I'd never bothered to try. So late Monday night, I tried. And about an hour later it was running. There's really two sides to the Android SDK. There's the drag-and-drop fluffy-stuffy GUI in the form of a plugin for Eclipse. That was my first stop; I got it installed, created a sample project, and ran it in the emulator. It worked as expected, and I'll admit it made me want an Android phone a bit more. I'll be the first to admit I've been skeptical of Android, but at this point it's hard to argue with a totally open platform, especially since it has a shipping device now. So yeah, SDK plus sample app was easy and appetite-whetting. Then I tried to pull in JRuby's main jar file. Nothing seemed to work right. I got errors about not having defined an "application" in some XML file, even though it was there. There was no obvious information on how to add third-party libraries to my app, and I certainly may have done it the wrong way. And of course my lack of knowledge about the structure of an Android app probably didn't help. But ultimately, since I didn't really need a full-on application, I started to dig around in the SDK for "another way". For the newbs: that's -JXmx1024M to allow dx to use up to a gig of memory, --dex to convert to Dalvik bytecode, and --output to specify an output file. So, suddenly I had what I assumed was a Dalvik-ready ruboto.jar file. A quick jar -t confirmed that everything appeared to be there, along with a "classes.dex" file. There were also a bunch of warnings about "Ignoring InnerClasses attribute for an anonymous inner class that doesn't come with an associated EnclosingMethod attribute." but warnings don't stop a true adventurer. I pressed on! Hmm. "data". That looks promising. I mean, a "data" directory couldn't possibly be read-only, right? So let's give that a try. Ok, so we've "dexed" the jar, uploaded it to the emulator, and now we want to run it. Back into the shell we go! Oh, goodie, "dalvikvm". Could it possibly be the equivalent of the "java" command on a desktop? Could it really be that easy? dalvikvm -jar ruboto.jar -e "puts 'hello'"
And expect it to work? # dalvikvm -jar data/ruboto.jar -e "puts 'hello'"
Curses! Ignoring for the moment how strange it seemed to have a -jar flag that simply doesn't work, I tried specifying -classpath and org.jruby.Main. It blew up with my first official JRuby-on-Android exception! # dalvikvm -classpath ruboto.jar org.jruby.Main -e "puts 'hello'"
Hmm. The code in question simply iterated over an EnumSet. After thinking through a few scenarios, I concluded this was not JRuby's fault. It seemed that I had discovered my first Android bug, the first time I tried to run anything on it. And that made me sad. (I've lost the original error, but it was a VerifyError loading org.jruby.Ruby since it referenced BeanManager which referenced JMX classes. There is no JMX on Android. Ok, VerifyError because of missing JMX stuff...that's no problem, I can just disable it for now. So, one more attempt, and if it fails I'm going to start doing iPhone development I SWEAR. # dalvikvm -classpath data/ruboto.jar org.jruby.Main -e "puts 'hello'"
Ok, so we all agree Android dodged a bullet there. But what's the real status of JRuby on Android? It turns out there were very few changes necessary. I fixed the EnumSet stuff by just iterating over an Errno (EnumSet was not actually needed). I fixed the JMX stuff by creating a BeanManagerFactory (yay GOF) that loaded the JMX version via reflection, falling back on a dummy if that failed. And I fixed some warnings Dalvik was spouting about default BufferedReader and BufferedInputStream constructors by hardcoding specific buffer sizes (I think Dalvik is wrong here, and I'm arguing my case on the android-platform ML). And that's really all there was to it. JRuby pretty much "just worked". Of course you see the "could not compile" error up there. What's up with that? # dalvikvm -classpath data/ruboto.jar org.jruby.Main -d -e "puts 'hello'"
could not compile: -e because of: "can't load this type of class file"
So that's caveat #1: this is currently only running in interpreted mode. To avoid the compiler warning, you can pass -X-C to JRuby to disable compilation entirely. Unfortunately, interpretation means JRuby is none too fast at the moment. That may not matter if you're scripting a "real" app, but we'll definitely find ways to improve performance soon. That may mean providing an all-at-once compilation tool for Ruby code (we have an ahead-of-time (AOT) compiler right now, but it's per-file, and still expects to generate some code at runtime), or it may mean a second compiler that generates Dalvik bytecode. Either way...it's coming. # dalvikvm -classpath data/ruboto.jar org.jruby.Main -X-C -e "require 'readline'"
# dalvikvm -classpath data/ruboto.jar org.jruby.Main -X-C -e "require 'ffi'"
# dalvikvm -classpath data/ruboto.jar org.jruby.Main -X-C -e "require 'java'; puts java.lang.System.get_property('java.vendor')"
# dalvikvm -classpath data/ruboto.jar org.jruby.Main -X-C -e "require 'java'; import 'android.content.Context'"
Bummer, dude. There seems to be some feature (i.e. a bug) preventing some Android core classes from reflecting properly, which means that for the moment you may not be able to access them in JRuby. All the changes necessary to run JRuby on Android have already been shipped in JRuby 1.2RC1. So you can grab those files and dex them yourself, or wait for me to add Android-related build targets. Android's default stack size is incredibly small, 8kb. So for all but the most trivial Ruby code you're going to want to bump it up with -Xss. See the final snippit at the bottom of this post for an example. And of course you all know about using -Xmx to increase the max heap; it applies to Android as well. I need to report the bugs I've found in Android's bug tracker and provide some steps to reproduce them. I'll probably get to this in the next couple days. Hopefully they can be fixed quickly, and hopefully patched Android doesn't take too long to filter out to users. Meanwhile, I'll probably start poking at an all-at-once compilation mode, since I think that's simpler initially than emitting Dalvik bytecode. It's already done in my head. You'll run a command to "fully compile" a target script or scripts, and it will create the .class file it does now along with all the method binding .class files it normally generates at runtime. I've been planning this feature for a while anyway. With the "completely compiled" Ruby code you should be able to just "dex" it and upload to the device. Given that most people will probably want to ship precompiled code, and given the fact that many libraries will never work, we need to modularize JRuby a bit more so we can rip out unsupported libraries, parser guts, interpreter guts, and compiler guts. That should shrink the total size of the binary substantially. And I have other ideas for shrinking it too. We in the JRuby community also need to start brainstorming how to use this newfound power. Assuming the above items are all completed soon, what will we want to do with JRuby on Android? Build apps entirely in Ruby? Script existing ones? What Ruby features would we be willing to drop in order to boost Android-based performance a bit more? Hopefully this discussion can start in the comments and continue on the JRuby mailing lists. JRuby works on Android, that much is certain. The remaining issues will get worked out. And I dare say this is probably the best way to get Ruby on any embedded device yet; after dexing, it's literally just "upload and run". So there's a great opportunity here. I'm excited. # dalvikvm -Xss128k -classpath data/ruboto.jar org.jruby.Main -X-C -e "require 'irb'; IRB.start"
irb(main):001:0> puts "Hello, JRuby on Android!" It works for me on an emulator, but not on my actual G1. First, I get "permission denied" doing a push to /data. So I pushed to /sdcard. Must poke around more. I'm on RC33, btw. Non-rooted. I'm on the dev phone. I pushed ruboto.jar and test.rb to /sdcard/jruby and then duplicated Charlie's command line and it worked. Seriously, awesome stuff Charles. The soundness of the JRuby implementation continues to amaze me. 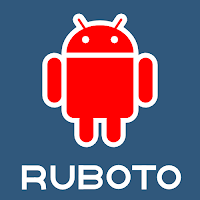 Looking forward to seeing Ruboto take over Android. Very cool. I've been contemplating a G2 when they release. Wasn't a fan of G1 but I have hopes for G2. James Britt: Having the exact same problem. Looks like I'm not alone. Will continue to poke around as well and report what I find. Wonder if it's something with not having a dev phone? Very, very cool Charlie. I'm also really excited about being able to modularize the JRuby core. I want to push JRuby into more game development spaces and having a 6-8 MB jar to be downloaded along with the app is somewhat of a barrier to commercial distribution of small web-based games. A modularized JRuby where we could strip out all the libs we aren't going to use (without the need to manually open the jar file and strip out the files) would be fantastic. How small do you think a functional interpreter with only the core classes loaded (Hash, Array, String, Proc, etc.) could be? does not give me a proper jar. among other things it is missing org/jruby/Main (though this is present in my jruby.jar). Which explains the errors I see. ... except that same jar works on the emulator. Still confused over hwo the setups differ. on my other non-rooted G1 phone. FWIW, I'm doing the dx conversion on a 64-bit Ubuntu Hardy machine. I ran out of memory and had to move up to -JXmx1524M before it worked though. JP: I talked to some Android folks about it, and the recommendation right now is to just ship both ASM and the dex tool as part of the app, so you can do the additional translation to Dalvik bytecode on-device. It's obviously not ideal, but it should work. I have not had a chance to attempt doing it. Thanks for your reply! I've run into a sort of a roadblock: I was able to translate it to Dalvik bytecode, but any import with DexClassLoader seems to require an "implements Cloneable" for some reason. Now in the process of figuring out why..
Did you get any further? Compilation to byte code on the device would be a great boost for ruboto.